Mark Connolly, left, with Mick Byrne and Pat O’Grady. Photo: Kieran Carlin. 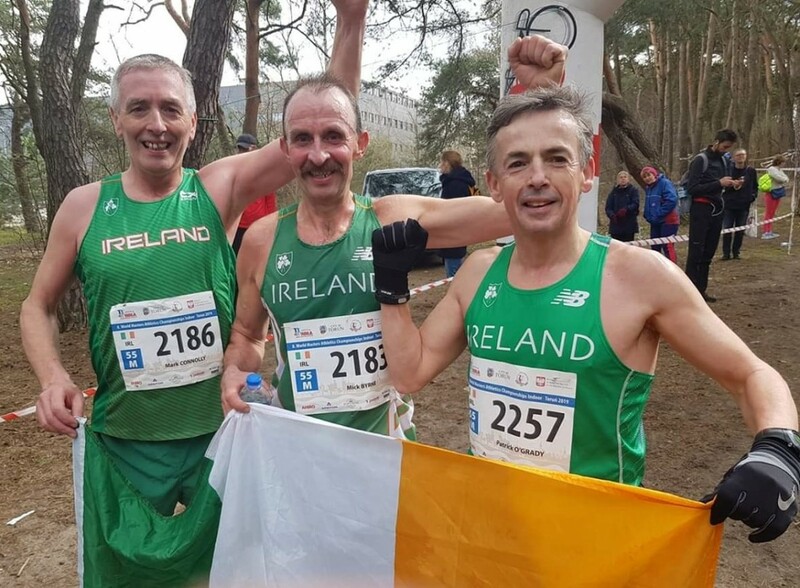 AGHYARAN’S Mark Connolly earned an early 60th birthday present to remember on Sunday of last week when he, alongside Mick Byrne and Pat O’Grady, sealed a stunning victory in the over-55s 8K cross-country at the World Masters Athletics Championships in Poland. Representing Ireland, Derry City and Strabane District Council’s athletics coach, who will celebrate his landmark birthday this coming Tuesday, finished the demanding course in 19th place overall to help the three-strong Irish team pip England to victory by seven seconds, while hosts Poland were a further seven seconds adrift in bronze medal position. And it was the Finn Valley AC man’s finish that proved the difference in the end as Ireland claimed the top step on the podium and the coveted gold medals. “I’m over the moon. It was an unreal experience!,” beamed a delighted Mark when interviewed on Highland Radio after Sunday’s race. “I ran very strong the whole way through it. It was a tough course, it was undulating through woods, with roots underfoot, but it was fair for everybody. “It was really honest cross-country. You had to be tough, you had to be mentally tough with the sand hills, which were tough on the body. Mark’s success is just reward for having spent the past two years training up to 14-times a week in preparation for this event. However, even with all the effort, he didn’t allow himself to get caught up in hope until he crossed the finish line and the reality started to sink in. “People don’t really realise what you do put in at training, but for it to unfold and work out on the day, I just can’t believe it,” he added. 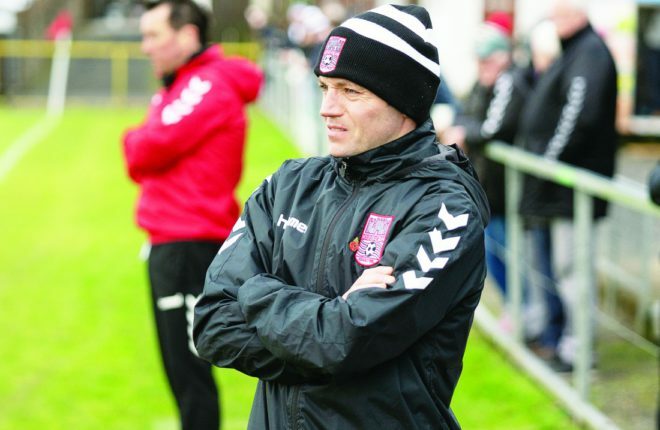 “I’m delighted, so delighted for my family and all the people at home, their support, the good feeling about it, people are just so delighted for you. “I wouldn’t say that I was targeting a medal before the race but my plan was to make sure that whoever won a medal would earn that medal. I thought, as the days went on, my training was good, my form was good, things were falling into place, the legs felt good and I gave it everything.